Alhambra Pumpkin Run - Saturday, October 1, 2016. Run starts at Alhambra Park. Click on link for more information. Alhambra Pumpkin Run - Saturday, October 1, 2016. Run starts at Alhambra Park. Music, Food, and Local Vendors. 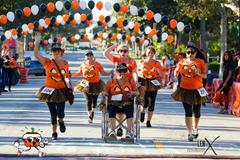 Click on www.alhambrapumpkinrun.com for Run Info and PARKING/STREET CLOSURE INFORMATION.